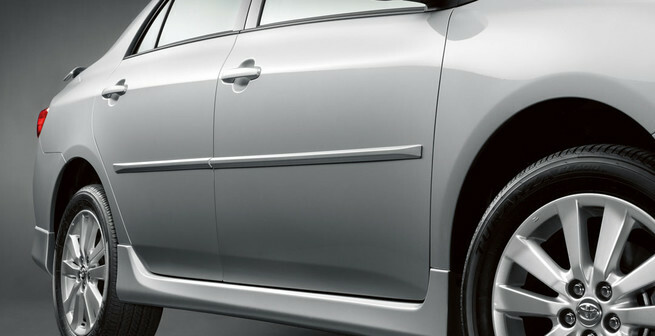 Protect your doors from dings from careless people with stylish Body Side Moldings. Did your new car or truck come from the factory with absolutely no paint protection against door dings, nicks and scratches? Keep your car looking like new with our high-quality painted body side moldings for your Chevy, Ford, Toyota, and many more makes and models. Our side moldings and auto trim are manufactured to your vehicle specifications and come with factory-formed ends providing the best new car paint protection. Each order is custom painted to the exact OEM factory color to match your vehicles paint perfectly.